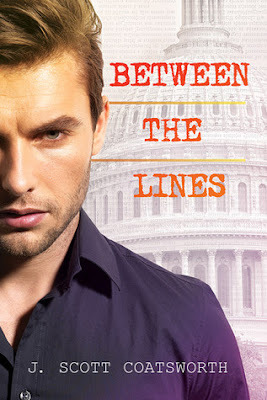 In today's post, we'll take about Between The Lines and The River City Chronicles. There's also a personal story Scott has chosen to share, plus another chance to win one of his books. Sam Fuller is Brad’s young blond blue-eyed intern, fresh out of college, running from a bad breakup, and questioning his choices and his new life in politics. To make things worse, Sam also has a thing for the boss, but Brad is already taken. Something about the place—a little boutique store with a faded sign that read “Murdock’s Hardware and Fine Things,” on a nondescript block of K Street—caught his eye. Brad had almost missed it. Funny how sometimes you knew a place so well that you no longer really saw it. Crossing the threshold into the little shop, he felt strangely excited. Well, not quite excited. Entranced, maybe. Enticed by a strange smell inside—sandalwood. Long rows of fading pegboard were full of tarnished metal hooks holding dusty little packets, some of them so covered in grime that it was impossible to tell what they held. Brad refrained from touching any of them, a little disgusted by it. He liked things neat and tidy, everything in its place. An old fluorescent light fixture lit the cramped space. It had a short, one bulb flickering with an annoying buzz, the other shining a steady, reassuring glow. There was no one else about, not even the owner. From somewhere in the back of the shop, music drifted through the air… an old song. “Moon River”? His grandmother would have known. He wandered down one of the aisles, drawn by something. Some combination of the music, the incense, and a sense that there was something old and subtle at work here. The place was a window into the past, just a block from the bustle of his office and the modern age. A lighted case sat at the back of the store, illuminated from inside, pushing back the gloom. It was filled with bits of junk: plastic lighters with pictures of World War II girls in bikinis, three decks of playing cards (the old style with the flowing red patterns intersecting like antique lace on the back), striped candy sticks in red and green and orange, their plastic wrappers yellowed with age. Salt and pepper shakers shaped like penguins with red-and-green scarves, an ancient little black typewriter, and a stack of old pens from various motels and gas stations. Then he saw the medallion. A group of strangers, drawn together by an Italian cooking class. Everyone has a secret, and life has a funny way of bringing secrets out into the open. 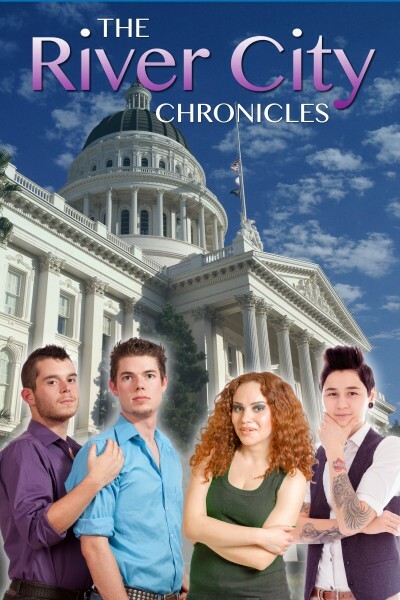 As their lives intertwine, a new family starts to emerge, and nothing will be the same. In Sacramento, the River City, everything is about to change. Today the sun was shining, the Farmer’s Market was in full swing on the street in front of him, and he had an honest-to-goodness paying client to work for. Marcos took a deep breath and sipped his extra-hot, decaf, two-pump sugar free skinny vanilla latte and dove in to his work. The next two hours flew by. Although the work had grown a bit boring, he knew his stuff. He found a template he liked and got into the guts of it, redesigning it to match the look and feel of his client’s logo and style. He added one of his favorite database extensions, and configured it to handle the fields he needed to import from the old site. Then he downloaded the data from the existing site and imported it to the new one. Soon, he had a rough first draft to ship back to his contact at River City. “Can you spare a dollar?” a young girl with blond, spiky hair asked from the sidewalk below. He was handsome enough—maybe five years younger than Marcos’ thirty-nine. He had fine features, thick blond hair and blue eyes, and wore a sharp dark gray suit with a black shirt and yellow tie. “I always hated that crap,” the guy half-stood and held out a hand. “I’m Dennis.” His smile was just a little too white. Marcos was a good-looking guy. His salt and pepper hair had only made him more distinguished, and he wasn't too bad looking for his age. But rarely was someone so forward with him, at least not out on the street. This story can be read for free on Scott's website. I recently lost someone who was a foundational part of my life – the first guy I was ever with, the man who was the reason I finally came out. Damon was a beautiful guy, someone whom almost everyone who knew him loved. I hadn’t seen him since 1991, and when I went to look for him a few months back, I found out he’d been brutally murdered back in 2009. So much time has passed since we knew one another, but when I found out, it was like the ground fell out from under me. A huge hole had opened up in my life, and I didn’t understand how. Or why. I couldn’t remember his face. Damon and I were together at a time in my teen years when I was so deep in the closet that I couldn’t even imagine having a life with someone. I have no photographs of the two of us. No one knew we were a thing. I needed to find a way to make some sense of this tragedy. So I started reaching out. Looking for people who knew him. Gathering my memories back together that were scattered over almost a decade, so long ago. And bit by bit he started to come back to me. His sister helped me fill in the gaps – all the things he’d done after we last saw one another. All the things he hoped to be. All the crazy things he used to do. His roommate shaded the picture for me a bit more. Day by day, his face came more into focus. I still struggle with what happened. With how I didn’t even know about it for eight long years. With all the questions I had for him that now will forever go unanswered. Bit by bit things heal. Bit by bit, his life comes back into focus, and soon I think I will start to make sense of what happened through writing. And maybe a little of Damon will live on in the words I write. I hope his spirit is somewhere out there, smiling at the thought. Scott has always been in the place between the here and now and the what could be. He started reading science fiction and fantasy at the tender age of nine, encouraged by his mother. But as he read the golden age classics and more modern works too, he started to wonder where all the queer people were. He lives with his husband in a leafy Sacramento, California suburb, in a cute yellow house with a pair of pink flamingoes in the front yard. Thanks for celebrating with us. Come back next week for more of Scott's books and our author interview. There will also be one more chance to win.